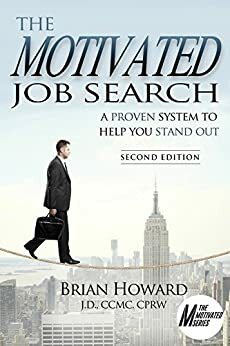 Brian Howard was recently interviewed on CareerMetis discussing his book, Over 50 and Motivated – a job search book for job seekers over 50. Over 50 and Motivated is the fourth book in the Motivated Series of job search books. Other books in the series include: The Motivated Job Search, The Motivated Networker, and The Motivated Job Search Workbook. You can listen to the interview on the CareerMetis website, as well as YouTube, Weblink, and SoundCloud. You can purchase Over 50 and Motivated, as well as the other books in the series, on Amazon. The Labor Department reported that the number of job openings in the U.S hit an all-time high in July at 6.17 million (records dating back to 2000). The initial reaction would be that this is good news – which in part it is. There are jobs available in the market. The concern is the ever-growing fact that there is a lack of skilled or qualified candidates to fill these openings, hence the high number of job openings. This is an interesting dilemma. The jobs are there but the human-talent to fill the jobs is not. The Labor Department also reported that the number of people who quit their jobs is also up. This is generally interpreted that workers are comfortable leaving their jobs to pursue other job opportunities. The lack of skilled or qualified workers will continue to be an issue for employers the foreseeable future. The good news for skilled or qualified job seekers is there are jobs available for those that want to change.